Amanda Moxley, LLC owns and operates the amandamoxley.com website business. 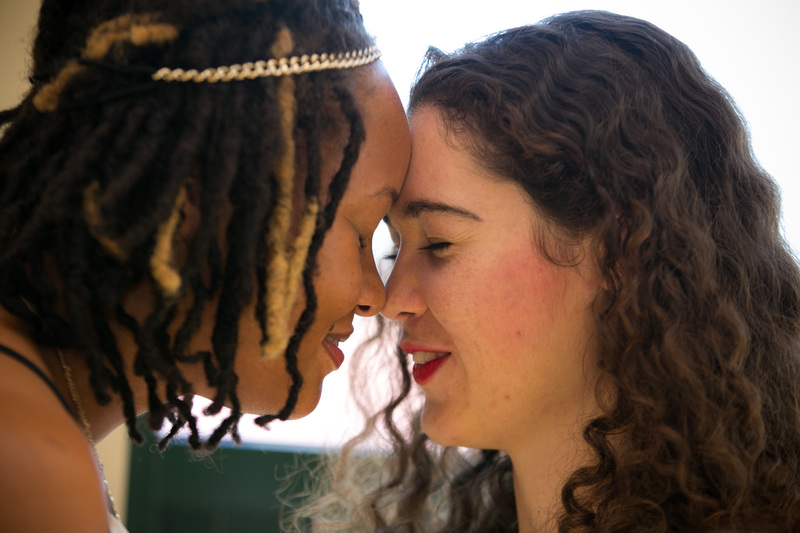 All references to “we”, “us”, or “our” shall be construed to mean Amanda Moxley, LLC. Amanda Moxley, LLC will be acting as the “Controller” of the personal data you provide to us. This includes your personal contact information and the contact information of your affiliated organization. We only collect basic personal information about you which does not include any special types of information or location-based information (GPS data). We need to know your basic personal data consisting of contact information for purposes of responding to your inquiry on our Contact Us web page and similar web pages. In addition, we need to know your personal data to send you emails for other specific purposes only if you have explicitly given your consent to receive these emails. Your personal data is processed by our personnel located in Salt Lake City, UT , USA; however, for purposes of hosting and maintenance, your personal data may be archived on servers provided by GoDaddy which is located in Scottsdale, Arizona, USA and by InfusionSoft on servers which are located in Chandler, Arizona, USA. Except for these two sub-processors, we won’t share your personal information with third parties outside our organization unless authorized by applicable law. If we are acquired by another party, we will share your personal data with the acquiring party. Unfortunately, the transmission of information via the internet is not completely secure. Although we use best practices to ensure your data is encrypted to the standard required in the GDPR to protect your personal data, we cannot guarantee the security of your data as it is transmitted and stored. We will not retain your personal data for longer than required. This means that we will keep your personal information: (i) for as long as required by law, (ii) until we no longer have a valid reason for keeping it, or (iii) until you request us to stop using it. When we delete your personal data from our databases, it will remain in our backup system until it cycles out. We will delete your personal data that you provide for purposes of responding to your inquiry on our Contact Us web page and similar web pages after 1 year, unless you are continuing to request information from us. You have right to: (i) request access to and rectification or erasure of your personal data, (ii) request restriction of processing your personal data, and (iii) withdraw your consent at any time. If you provide a notice to us regarding your exercise any of the above rights, we will forward your notice to other authorized parties which are holding and processing your personal data, where appropriate. If you wish to raise a complaint regarding how we have processed your personal data, you can contact us with the Contact Us information below, and we will investigate the matter. If you are not satisfied with our response or believe we are processing your personal data not in accordance with the law, you may complain to the data protection officer in the country in which you reside. Enjoy these Free Gifts from Amanda and POP your Biz! In this juicy free gift, Amanda will show you how to finally End Yo’ Money Drama, Ditch the feast-or-famine roller coaster, and start making money now! 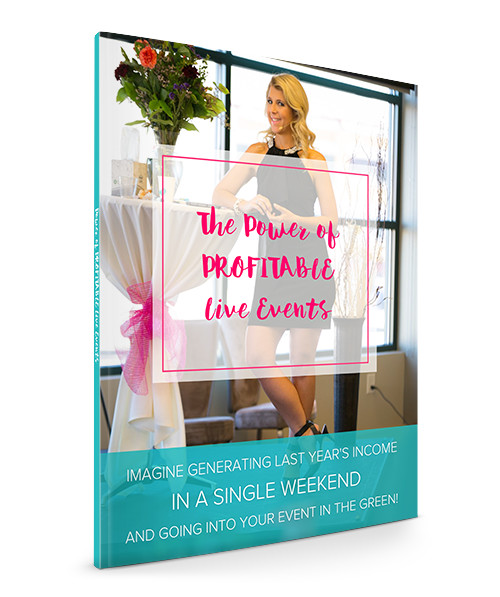 Imagine Generating a Year's Worth of Income in a Single Weekend and Going into Your Event in the Green! 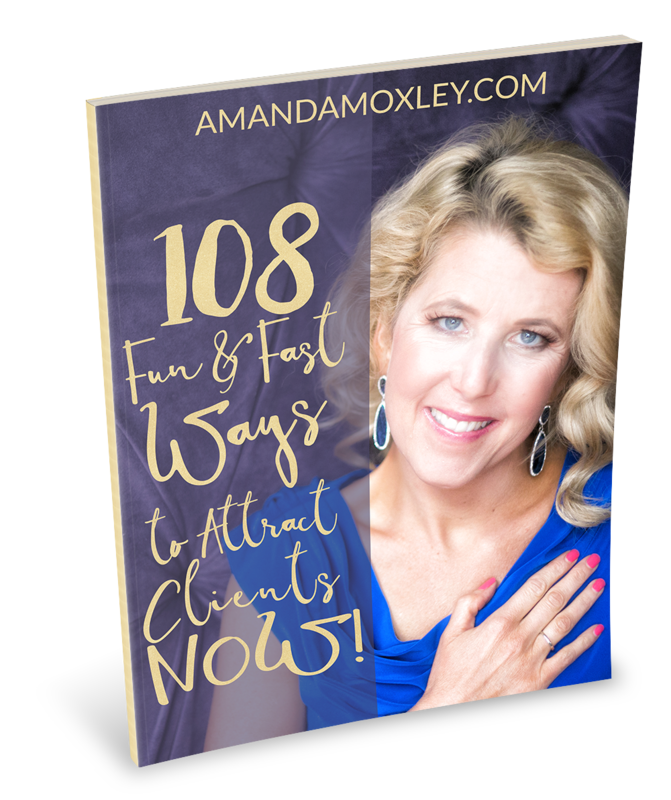 "108 Fast & Fun Ways to Attract Clients Now"
The Power of Profitable Live Events. 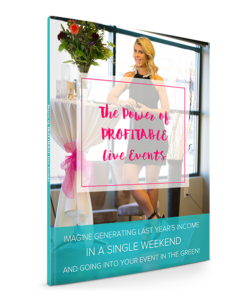 Imagine Generating a Year’s Worth of Income in a Single Weekend And Going into Your Event in the Green!